The World Cup of Cards (WCC) is back for its second year, and this year’s edition promises to be bigger and better than ever! Running from Aug. 13 – Sept. 13, the WCC features more than $6 million in guaranteed prize pools in events designed to appeal to players of all experience levels. With tournaments of all sizes spread out throughout the month, the World Cup of Cards is all about giving players what they want – fun events, variety, huge guarantees, and a ton of value for their poker-playing dollar. For the second year in a row, one of the highlights of the WCC is the number of non-hold’em events on the schedule. 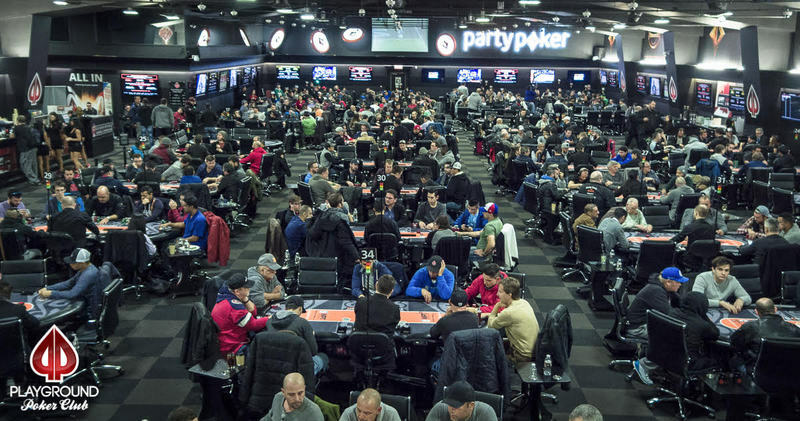 Of the 36 events in this second edition of the WCC, 11 will be played in “other” games including pot-limit Omaha eight-or-better, crazy pineapple, and the popular “Roll the Dice” six-game mixed tournament. There are also several alternative no-limit hold’em formats on the calendar like a shootout, a mix-max event, and more. Every week features great options for players who want some variety in their poker tournament play! The 2017 WCC kicks off with the return of the $220 partypoker LIVE Grand Prix Canada with a $1 million prize pool guarantee – double the guarantee of the most recent Grand Prix Canadaevent at Playground! With 17 live starting flights and even more online starting flights, this event is sure to jump start the WCC in style! The live portion of the Grand Prix Canada will run from Aug. 13-21. The next big event in the 2017 WCC is the CPPT World Cup of Cards, running from Aug. 25-28. Again this year the tournament will be a $1,500 + $150 no-limit hold’em event with two starting flights (best stack advances) and an awesome $400,000 Guarantee. The following weekend will be focused on a new event, the Playground1000. With a $1,100 buy-in and four starting flights, this is the second event in the WCC with a $1 million prize pool guarantee. Last but not least among the marquee events in the WCC, is the brand new Canadian Poker Championship. This is a $2,200 no-limit hold’em event that boasts a massive $2 million guarantee featuring three single re-entry “normal” speed starting flights and an additional single re-entry turbo starting flight. In addition to all of these amazing events, the World Cup of Cards will feature a full range of hold’em and non-hold’em format events, all managed by what has been called the best tournament poker room in the world: Playground Poker Club. Welcome to the World Cup of Cards!